How can I access the Speech and Language Centre for my child? At Hiltingbury Infant School, Learner for Life Skills are thoroughly embedded into our curriulum. 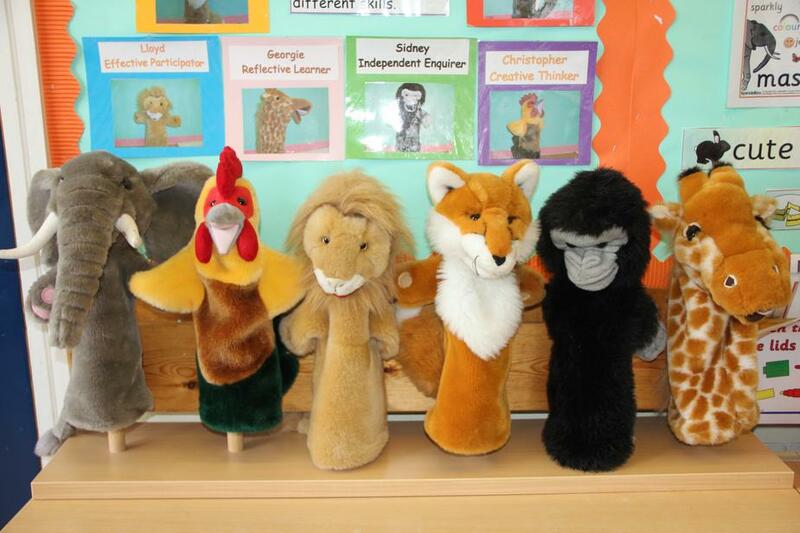 Meet our Learner for Life Skills Team, who can be found in every classroom. Their job is to facilitate the children in becoming Successful Learners, Confident Individuals and Responsible Citizens. If your child in Year R comes home wearing a sticker with one of the puppets on, you know they have been rewarded for showing one of these Essential Life Skills in their learning! In KS1 children are working towards completing their Learner for Life passports, demonstrating these skills throughout the year in all aspects of school life. If they complete their passport they will receive a Learner for Life badge from the Headteacher that they can wear with pride.